Celebrate May with our latest seat sale now! 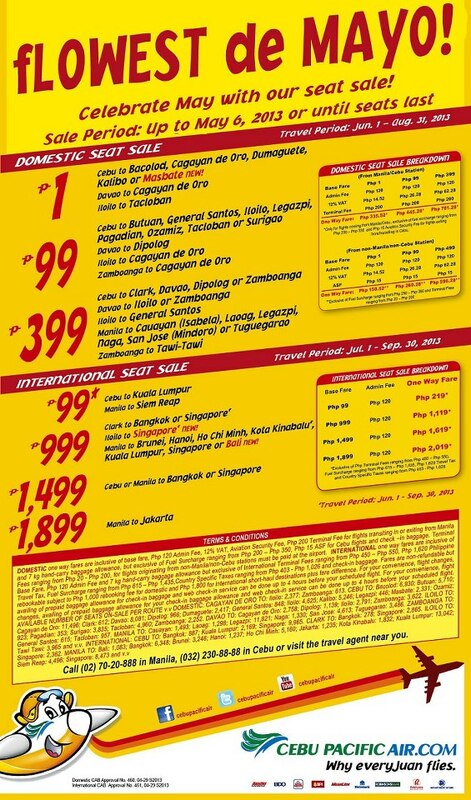 Cebu Pacific just had their PISO FARE days ago and for the month of MAY 2013, they have other promo fares offers! International Seat Sale starts at P99 to P1899.